Claudia Pfeffer opens new HYPOXI location. “I was searching for additional supplements for my physiotherapy practice and remembered about a vacuum device with a treadmill, and my research led me to HYPOXI. 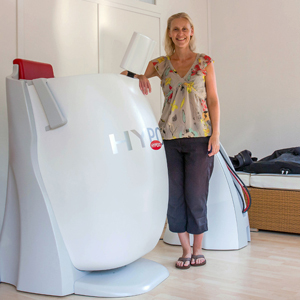 The HYPOXI-Concept was totally convincing. Discussions with other established HYPOXI-Studio operators contributed to my decision.